Given the sensitivity of the proposed development (there is a residential aspect) a contaminated land planning condition was attached to the decision notice for the proposed development. 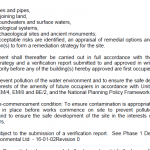 Demeter Environmental were commissioned to prepare the reports required to discharge the contaminated land planning condition. The first step of preparing the desk study report was to review the history of the site and it surrounding area using Ordnance Survey maps, aerial plates and street view imagery. 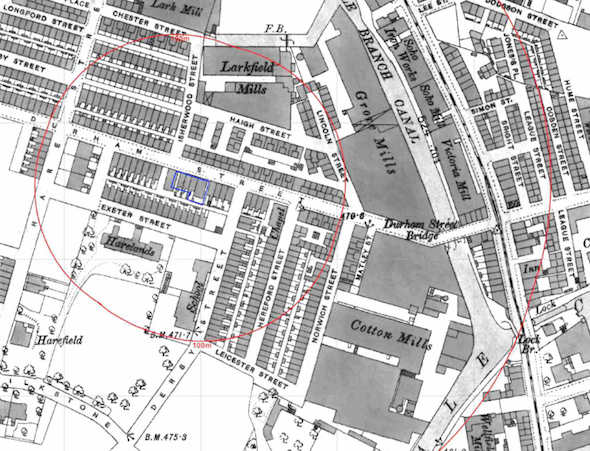 The O.S maps indicated the site was developed between 1848 and 1890 when the site was occupied by three dwellings and a larger building. The dwellings were demolished between 1992 and 2010, aerial plates indicate the dwellings were demolished prior to the 2000 plate. Three off site potential sources of contamination were identified (sand pit, garage and a mill). 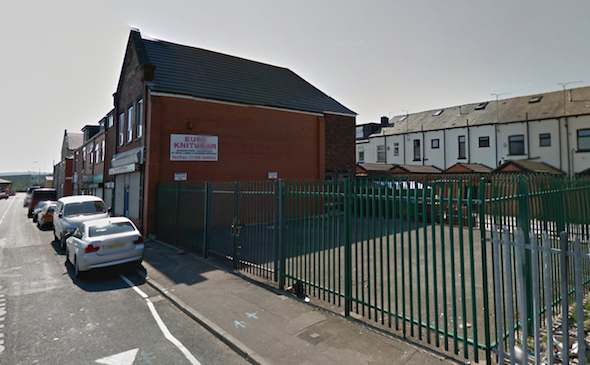 Data provided by both the Environment Agency and Groundsure were reviewed and no further potential sources of contamination (including landfills) were identified. The sensitivity of groundwater and surface water bodies were assessed using a combination of data obtained from BGS geological maps and data from the Environment Agency, it was concluded that the controlled waters were of low sensitivity. On completion of the desk based review the site reconnaissance (walkover) visit was undertaken, which revealed the site comprised of a two story building which was used for manufacturing knitwear and open land. 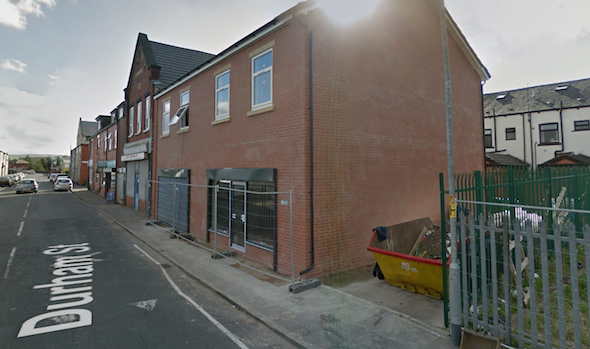 As part of the qualitative risk assessment, as the ground floor of the development was commercial and that there were no garden or landscaped areas, the end uses of the site were not credible receptors. The two receptors identified in the assessment were concrete and water mains. It was concluded that water mains should be specified as barrier pipe and samples of the soils should be analysed to assess the risks to concrete. 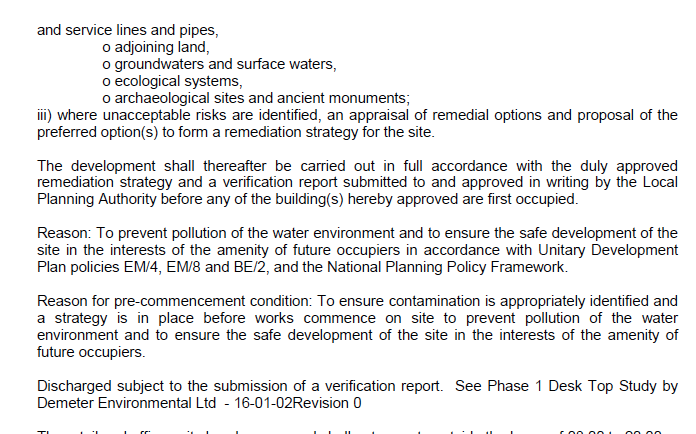 The desk study was submitted to discharge the contaminated land planning condition (16/00073/DOC).